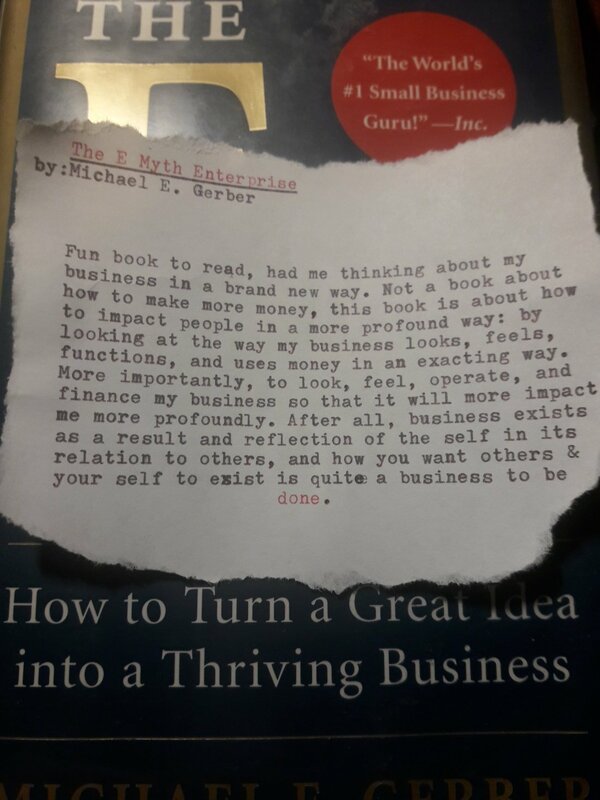 This post takes a thorough look at ideas Gerber presents in his book “The E-Myth Enterprise: How to Turn a Great Idea into a Thriving Business”. You will learn how to avoid typical traps and how to turn your business into a smoothly running enterprise. Michael E. Gerber is an author, business consultant, attorney-at-law, CEO of the business skills training company in Carlsbad, California and an ultimate guru on the subject of small business. He knows everything about the pitfalls of starting a new business and ways to make it prosper. The book received critical acclaim and worldwide exposure. It is of great value for small business owners and business pioneers, but may also come in handy for owners of big industrial enterprises. Most importantly this book allows you to discover the entrepreneurial spirit in yourself and let it grow. Easy to understand. Creates no illusions but gives hope to business newcomers. Accessible language, sensible delivery and lots of great examples. Internet small businesses are actively growing so the book can feel a little bit outdated, but most of its ideas are absolutely applicable in any area of entrepreneurship. “The E-Myth” makes us look at why most small businesses share the same fate of ceasing to exist after a short period of time. The author analyses reasons why talented people put tons of effort and then abruptly abandon their businesses and give up. According to Gerber, in most cases a newly-hatched small business owner is a person whos is tired of working for others. Usually it is a specialist of the highests caliber in his field — very often a barber, a baker or a barista. One day you open a coffee shop, it all goes well and clients literally keep flooding in. Everything changes some time later, though. More clients means more work. You are unable to serve everyone all by yourself and you hire your first employee. As the client flow grows more your employee starts consistently failing at his tasks and either leaves or eventually gets fired. Business consumes every minute of your day and you barely manage to take a nap just before 6 A.M. Meanwhile, your business takes a downward spiral ride. If you want to know why, let’s see what Michael E. Gerber has to say about it. Beginner entrepreneurs often find themselves even more enslaved than before rather than free. Gerber writes about a young woman, Sarah, who was convinced by her friends to make a business out of her incredible talent of baking. What’s the outcome? Three years later Sarah hates her business and the very process of baking. It felt like a punishment for her. Why? Gerber thinks that each of us hosts several personalities: one dreams of beautiful and fit body, the other one lusts for a hearty dinner and whichever personality is stronger wins. So different parts of human nature have their place in small business. “The entrepreneurial buzz”, as Gerber calls it, motivates you to leave it all behind and start working for yourself as a specialist. An entrepreneur is a strategist and a visionary. Manager organises everything and structures your business. A specialist wants to concentrate on his craft and nothing else. Ideally, you want to have those three in one person. But what we have got in reality? Gerber says that typical beginner business owner is mainly a specialist and that is why his business becomes stale. And remember: business must work for you, not the other way around. Every business need to grow. When your company is still a “child” it’s when you only perform as a specialist. Gerber compares it to endless holidays. You don’t subordinate and finally have freedom to work for yourself. Specialists love to work (especially for themselves) but now they also have to do a lot of stuff they are not used to: sales, accounting, serving, packaging, etc. At first, everyone is happy and clients keep coming, but over time inevitable errors occur, the quality drops and number of clients declines. And to sum it up, it doesn’t even remotely resemble your dreams of freedom and independence. Your business becomes your nagging boss. That’s when most people give up, but those who don’t enter the adolescent stage. Adolescent company is ready to hire an employee. Once it’s done, your euphoria knows no limits — you finally have an extra hour for your precious self. You gradually take more and more free time, burden your employee with more responsibilities and hire new employees. You become happy with the growth, but out of the blue clients start complaining. That’s when you are going to have to lean in and start figuring things out by yourself again. Such delegation of responsibility Gerber calls renunciation management. As a result, a young businessman has to either go back to childhood stage and run business all alone or grow to finally mature. Unlike an adolescent company, a mature company doesn’t require the presence of its owner to operate. It aims to grow, it aims to the future, where the business becomes the product itself. McDonald’s is given as an example of such company. It all started in 1952 when a fifty-two-year salesman walked into a hamburger stand in San Bernardino, California, to sell the two brothers who owned it a milkshake machine. What he saw there was a miracle. At least that’s how Ray Kroc, the milkshake machine salesman, might have described it. For he had never seen anything like that very first MacDonald’s (later to become McDonald’s) hamburger stand”. Several years later, he bought them out and established the largest fast food chain of restaurants in the world. That’s the difference between a business and a devastating grind newly arrived specialists throw themselves in. And it makes no difference what your product is. Any way to achieve that? Innovation represents a creative approach to your product and business. The right words, colors in uniform design and a special approach to service for customer attraction can be real game changers. When using innovations, the owner must take a customer’s standpoint to understand what moves to make and how to improve sales. And don’t forget that all your innovations have to be convenient and effortlessly executable by your employees, make their jobs easier and more efficient. Innovation without quantification is nothing but a dream. To see how innovations work you have to have numbers on the subject. Gerber advices to keep track of number of clients and amount of profit before and after the innovation was introduced. Orchestration is solidification of the innovation within your team and making it into a part of your brand’s style. Your profits rise when your employee wears yellow? Make all the uniform yellow! If a certain phrase helps your customer make a quicker choice, make every employee use it. Once you balance orchestration, innovation and quantification, your business can exist apart from you and becomes a product of itself. You can sell it anytime for it is a perfect business model. Gerber’s perfect business is a franchising prototype: sells great, guarantees profit and never burdens its owner. Before the entrepreneurial buzz grabs a hold of you, prepare yourself and your business for future growth. What’s the goal of your business and when will you reach it? What do you need for this: how many people, money, equipment, the amount of room? Plan on safe exits scenarios if things go wrong. That’s what Gerber calls the art of planning. He also mentions that most of small businesses he consulted had no plan at all. And planning is what connects dream and reality. Planning makes your dreams come true and turns you into entrepreneur and manager. Apart from all that, ask yourself a question: how do you think your life should change after starting a business? How do you want to be seen in the eyes of your relatives and close ones? How do you want your clients to perceive you? What do you want to learn from that experience? A few years later it might be useful to quantify your life, just like a business model, and sum it up. Do you progress or waste life in vain? Gerber says that all that makes us grow both intellectually and spiritually is indisputably good. Well, that was a sudden ending, huh? In case you still in wonder, there is a bunch of ‘revisited’ versions on author’s website (for entrepreneurs, managers, enterprise etc). Not sure if I’d recommend to read its full copy.